In Santa Marta,Colombia, A set of TGM 160 Trapezium grinding mill play a perfect role to The 10TPH limestone and barite grinding plant. TGM Super Pressure Trapezium Mill is Liming Heavy Industry Introducing advanced technology from abroad, painstaking research and design a new grinding mill based on YGM high pressure suspension mill. It uses energy-efficient centrifugal fan, greatly improve the accuracy of the finished product. And the fineness can be adjusted to meet the needs of customers for different purposes. 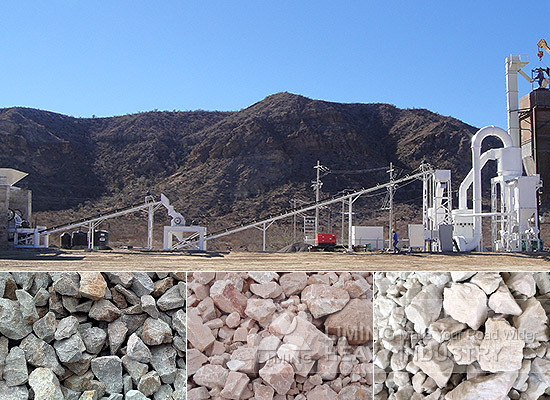 Kater said, the TGM 160 Trapezium grinding mill can meet his requirements for the 10TPH limestone and barite grinding plant, and the after-sale service is very good.He plant to purchase our more equipments.